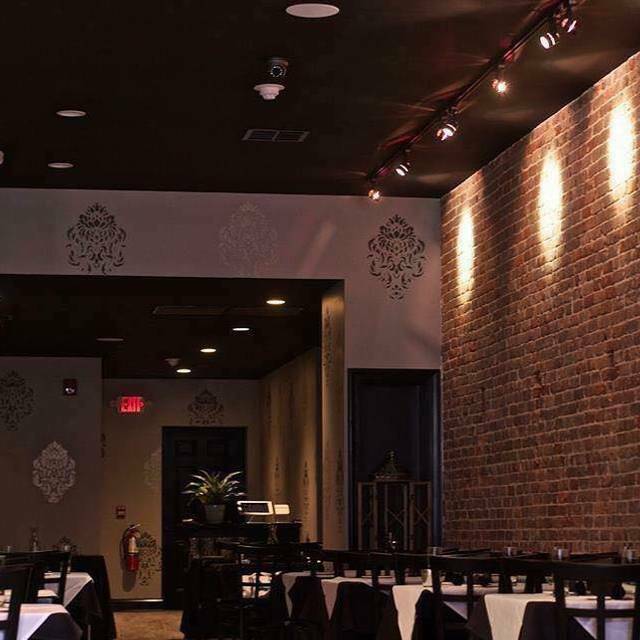 Located in Freehold, New Jersey, Kohinoor Grill Indian Cuisine is a purveyor of fine Indian dining which is authentic and affordable. Kohinoor Grill is proud to announce the opening of its newest restaurant in Freehold, New Jersey. Rated and ranked as New Jersey's BEST Indian cuisine,Kohinoor Grill offers a variety of fresh vegetarian, juicy meats and seafood grilled to perfection. Paired consciously with award winning recipes of Biryani Rice and Naan breads, to inspire your taste-buds. Don’t worry. You have come to the right place! Kohinoor Wedding Caterer comes with over 10+ years of experience in the South-Asian, specifically Indian Wedding industry. We not only offer catering services, but we actually can guide you with every aspect of organizing your big day. Whether you are in your early stages of planning, or putting the finishing touches on your big event, Kohinoor Grill Caterer is available to help out at anytime. We have an additional parking lot in the back of the restaurant. crispy patties stuffed with peas and potatoes. Crisp potatoes and chick peas in tamarind sauce. Crisp flour and puffed rice with chopped onions, green chilli, diced tomatoes and herbs. Crispy okra with tomatoes, cucumbers, onions and spices dressed in a tangy sauce. Potatoes with savory stuffing of raisins and cashews. Spiced potato patties served with a side of cholley. Homemade cottage cheese kabab with mint. Our special Tandoori vegetables from the best pick of greens, onions, bell peppers, cottage cheese and broccoli served hot with pineapple and tomatoes. Half a chicken marinated with yogurt and spices. Our special tandoori vegetables from the best pick of greens, onions, bell peppers, cottage cheese, broccoli, and tandoori gobhi served hot with pineapple and tomatoes. A delicious combination of, malai kababs, haryiali kababs, boti kabab, tandoori shrimp and fish tikka. Tender morsels of chicken roasted in the clay oven & tossed in a rich creamy spiced tomato sauce. Unquestionably the most loved delicacy in Northern India. The most popular Indian dish, cooked in mildly spiced tomato onion gravy with green peppers, onions, & fresh cilantro. Ground chicken cooked in ginger, green peas and spices. Boneless pieces of chicken sautéed with sweet tender spinach and enhanced with aromatic spices. Chicken sautéed in an Indian wok with hot green peppers and a blend of spices. Chicken cooked in an onion, tomato, and yogurt-based sauce, flavored with ginger, garlic, chillis and a variety of spices. Chicken cooked in a special in-house sauce. Not to miss. Fish cooked in fenugreek. Chef's specialty. Shrimp sautéed in an Indian wok with hot & green peppers and a blend of spices. Lamb cubes cooked with onion, tomatoes & yogurt spiced with the chef's special mix and garnished with cilantro. Goat cooked in an onion, tomato, and yogurt-based sauce, flavored with ginger, garlic, chills and a variety of spices. Tender chunks of lamb cooked in a special silky korma sauce along with potatoes, garnished with dried fruits & nuts. A semidry and colorful dish of homemade cottage cheese cooked in an Indian wok with green bell peppers & tomatoes, garnished with ginger and cilantro. Cauliflower and potatoes cooked with ginger and fresh Indian spices. An exotic and colorful eggplant delicacy cooked in yogurt and spices. Buttery baked & ground eggplant lightly sautéed with onion, tomatoes and aromatic spices. Fresh vegetables cooked with onion, tomatoes, and bell peppers with fresh ground spices. Chickpeas cooked with onions, garlic, ginger & spices, then garnished with cilantro. Flavorful combination of fresh green spinach and corn cooked with ginger and fenugreek. Basmati rice cooked with vegetables, herbs & spices. (Served with raita). Basmati rice cooked with your choice of Lamb/Goat/Chicken. (Served with raita). Basmati rice cooked with shrimp, herbs & spices. (Served with raita). Bread made of white flour topped with fresh onion. Your choice of Mango / Vanilla / Chocolate. Hot coffee with your choice of milk or cream. Very nice place, good service, and plenty of food. The overall quality of the food was average, which is not to say it was bad, but compared to other restaurants, it ranks well behind from being near the top. Absolutely great Indian good. Among the best in Monmouth county. Very good dining with authentic Indian food. Good friendly service. Would definitely recommend. First time here since it was Gola. Good was spectacular. Well seasoned and delicious. Menu is extensive and the proprietor is knowledgeable and helpful. Will definitely go back! First time to Koh i noor on a Thursday night and was surprised it wasn't too busy. It's got a slick stylish enough decor and the service was friendly and very efficient. They have an extensive menu and everything tasted fresh, authentic and flavours were wonderful. Highly recommended. The staff was friendly and the place was very clean and quiet. The service was great and the food was amazing. I have been there before, once for the buffet and once for dinner. Both were great!! I would definitely recommend this place to anyone and will be going back!! Love it. Very reasonable prices too. The food was amazing and service was good. The variety of food options allow something for everyone. We've been to Kohinoor and think it's the best Indian restaurant in the area. The restaurant is attractive and service is attentive and unrushed. The real attraction is the food. They have a wide ranging Indian menu that offers all the cuisine's top hits. The food is fresh and cooked to order. Their sauces have layers of flavors which are delicious with their amazing breads. They've recently expanded their menu and are offering some new dishes. I tried a shrimp appetizer at our last visit and absolutely loved it. I'm eager to go back and explore more of those new dishes. Lastly, Alan is a great manager who checks in with his guests and offers suggestions but never intrudes on the meal. We will be back. The service was great! Restaurant is on Main Street and is a really great location. Food was a bit spicy for us but still very delicious. Would recommend!! Good lunch but hope for more selection on dish choice. Excellent food, attentive service, nice decor and atmosphere. Can't wait to return! We had a fabulous birthday dinner there and were treated like royalty! Great food, service and they sang happy birthday with us! I highly recommend this restaurant in Downtown Freehold. The restaurant was very average to me. My girlfriend and I had chicken tikka masala that was pretty good, but the rice and naan werent anything special. The service wasnt too friendly. Great place and food! Vic is an awesome host who took great care of us the entire night. The portions are amazing and the taste is just as good. Other places go "cheap" on the rice and other freebies; Khyber Grill does not believe in that and gives a healthy portion. I highly recommend this place to anyone looking for GREAT Indian food!! The food was good but the service was slow and spotty. Lots of people running around looking very confused, food brought to the wrong tables multiple times, would probably only do take out in the future. Food quality as always remains consistent. Se vice can be challenging on a busy Saturday night but they do their best and a little patience goes a long way. Pindey Cholley and Pasn Ice Cream remain personal favorites and standouts! Make sure to make reservations on peak nights/hours! Excellent food and very courteous servers. Value is reasonable. A touch pricey, but generally well worth it. We ate here on Friday evening. There were four of us celebrating my son's birthday. It was a very nice experience. We were seated quickly. My son is vegetarian and had lots and lots of options here. Portions were large and we brought home leftovers. Service excellent. Only problem was my food and my daughters were too spicy. We ordered it mild and for our unaccustomed palates, we found it much too hot. Second time here,first exp not so good ,second exp just wonderful..thankyou!! Very good food. Best in the immediate area I think. Grilled lamb chops my favorite! The food waa great but..... they added graruity for 4 people without informing us and we realized it by mistake..
Great food coupled with excellent service made for a wonderful weekend family get-together. Will definitely be back.